Hogan’s Farm sells their cooked meat’s plant Faughan Foods Ltd. to estabilished Irish Family Owned cooked meats producers O’Brien Fine Foods. Hogan's Farm Same Brand New Look. Hogan’s Farm changes their look! 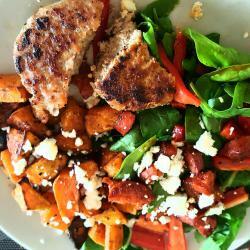 Brinigng it to a new generation of customers , who want a Low Fat , High Protein Diet . Hogan’s Farm also win’s top prizes for their specialist turkey breeds – Winning Prestigous Q Food Awards for their Charlesfort Turkey™ Roulade and Woodland Bronze™. Hogan’s Farm wins top Food awards for our fresh turkey product’s, proving that quality is the most important factor when it comes to choosing your turkey for that all important Christmas dinner. A new website is launched, as a new generation of Hogan’s Farm customer is born and wants an online service. In recent times competition and intensive promotional activity has led to slashing of prices and increased turbulence in the retailing of whole birds. In the face of this challenge we have decided to go back to basics and preserve our core product – quality turkey. In order to develop the uniqueness of our brand we have introduced a different turkey breed. This small select range of slower growing turkeys that we call Hogans Farm Charlesfort Turkey™. Reared the way nature intended, these turkeys have with smaller legs and a fuller rounder breast formation for superior quality. As Hogan’s Farm celebrates 50 years of in the turkey business, on the surface all looks good but we are losing the fight against the imports. Rearing on a weekly basis stops, as it becomes unviable and turkeys are only reared seasonally (Christmas/ Easter/ Thanksgiving). We go to Europe, meet with farmers and build relationships. Allowing us to continue producing quality turkey on a weekly basis. Our Cooked Meats production plant continues to expand, as more and more multiples come on board for our sliced and cooked meats. As cheaper imported turkey breast meat takes over the supply of the food service sector our year round production suffers considerably. We change some of our rearing schedules and prepare to compete. Hogan’s Farm fresh turkey secures new listings in stores, new products are added to the range and a re-brand adds a new look and feel for the larger Multiple shelves. This is the first time Hogan’s Farm Fresh turkey is available nationwide. We enter and win food awards for our turkey. Now we are getting noticed by large supermarkets who approach us to stock both our brands of Fresh and Cooked turkey products. A new state of the art cooking plant is built in Rathcairn to provide greater capacity to cook more products for a changing market and also to comply with new stringent regulations being introduced. We also plan the introduction of new packing lines for sliced cooked meats. Hogan’s Farm develop the first range of carved turkey sliced retail packs, breathing new life into the cooked meats category. 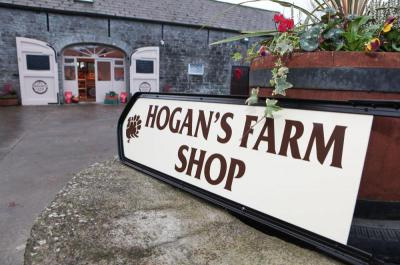 As sales take off, Hogan’s Farm change their branding and packaging and win new listings. Hogan's Farm hits the shelves. Hogan’s Farm brand was born and packaging was developed for new a range of value added products for retail stores. These were delivered by a fleet of seven vans into stores all over the country with more retailers being added every week. As the demand for cooked turkey rolls increases a small cooking production unit is acquired by the business in Rathcairn Co. Meath, to cook larger batches. Mrs. Hogan starts to develop again, cooking small breast joints in the Aga in her own family kitchen. Two turkey breast joints where cooked at a time and were sold to local butchers and shops. A first in the market for cooked turkey breast rolls. A new fresh turkey processing plant is incorporated behind the buildings in the courtyard. This gives us more space on the farm to cater for the increase in business. As our range of products grows we supply catering turkeys to many a hotel menu and our boned and rolled joint catches the attention of local hospitals and health boards. Mrs. Hogan developed the innovative Hogan’s Farm Boned & Rolled Turkey, a revolutionary product at the time. She trained others in the team to carefully bone out the turkeys and showed them how to roll the meat into shape and finally cover it with a net. This became a huge hit for our Foodservice customers. The Hogan Family pack up and move (up the road!) to Charlesfort House & Estate. This is where Hogan’s Farm is today. A local tradition takes hold in Cortown as many locals look forward to the turkey plucking season in Hogan’s which always began on the 13th December every year. Each turkey plucked was personally inspected by Mrs. Hogan and if plucked correctly a ticket was received. Tickets were cashed in at the end of the plucking ten days later. 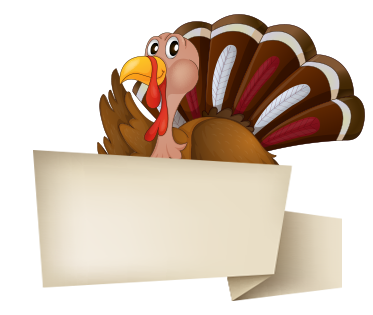 We get our first large order for over 700 New York Dressed turkeys from a Dublin hamper firm. Traditionally, these hampers where food hampers that people could pay off on a weekly basis and were delivered to them every Christmas for over 10 years. Hogan’s Farm for this first time ever, reared over 1,000 turkeys for Christmas. A huge milestone for the farm and family, as our reputation for quality spreads across the trade, demand increases. Teresa decided like many other farmers at that time, to rear a few turkeys for Christmas. 70 turkeys were reared for the first time on Hogan’s Farm and were sold to local locals and friends.